Among my choices is your beloved Aramis 900, which is such a reach for me because I bought the original Aramis at a young age and I'm still traumatized by the experience. My FragranceNet order arrived today and, anxious to try everything at once, I started spraying wildly into the air. 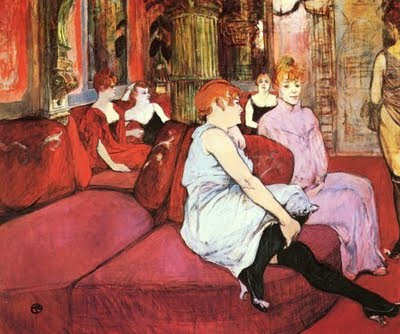 Except I don't have a Frédéric Malle cylindrical fan system, so the living room now smells like a French brothel. And also like the elevator at my dentist's office. Thank goodness brothels don't have elevators. The smell would be bad enough, but who'd want to touch the buttons? French brothels: no elevators, but no dentists, either. Because of your repeated endorsements over the past few months, I first tried Aramis 900 on my skin and found it almost startlingly big and bitter. The smell wasn't reminiscent of the original Aramis (thankfully), but the fear it elicited in me was. Still, I hung in there, cognizant of my constant complaining over all the sleazy sweet generic masculines, a category in which Aramis 900 definitely didn't belong. In fact, if you told me it was a feminine chypre from the 1930s, I wouldn't call you a liar. Katie's fume finder is pretty great, isn't it? I ordered two colognes for my teen nephew and one for my sister's hubbie using the finder, and all three were hits! She has a better success rate than Meat Loaf. Wait, and she sings . . . and dances! Okay, it's official, Katie kicks the h*ll out of Meat Loaf. Do you think she'll get a part in the upcoming Rocky Horror remake? Nathan, Do you think it says something about each of us that immediately after the debut of Katie's fume finder, you buy perfumes for your family and I buy more stuff for myself? I hope not. For my sake. Thanks again, you guys, for supporting my enterprise. And Nathan, I could never kick the h*ll out of Meat. But I did used to dress up as Columbia for midnight screenings of Rocky Horror Picture Show. And I just discovered HOW similar it is to Aromatics Elixir, which is a new love of mine. DomPerrier, glad to have a Aramis 900/Aromatics Elixir buddy, Buddy! Dan, is it possible that you live in the wrong street? A quiet cul-de-sac perhaps, where the word doesn't venture? Thinking about it, those cylindrical fan systems could usefully double up as fake tan spray booths - you know, for damage limitation purposes. Katie - a bit off topic, but on my way once to a late night showing of the Rocky Horror Picture show in Oxford, I spied Bamber Gascoigne (of University Challenge fame) on a bicycle, and couldn't resist squirting him with my water pistol. Further props on the app, Katie. It's a brilliant, diabolical enabler of the highest order. My wallet hates you. Darryl, thanks for elevating Fume Finder to "diabolical" status. High praise, indeed! 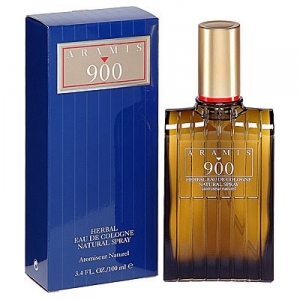 If Aromatics Elixir was a no-go for you, then you're correct that Aramis 900 won't work, either. I'm anxious to try Aramis 900 and I wonder why I haven't already. I tried Aromatics Elixir today for the first time and it is really really nice. Having heard how strong it can be and still feeling the sting of my wife's :Puke: face from my L Artisan Parfumeur Patchouli Patch experiment gone tooooo far, I just did the smallest microdrop. Even with that she smelled it from across the room almost instantly, but she likes it. Yeah, this stuff takes off like a rabbit chased by greyhounds. It starts out big but the drydown is very wearable by a man IMO. I don't remember a KP recommendation that I don't like yet. Can that be? Darin, AE has more nuance, more colors than Patch. It goes places. Coincidentally, I'm wearing AE right now. Sometimes it's a relief to wear a fragrance that doesn't smell like vanilla vanilla vanilla. AE is a sternly beautiful flowered forest. Hi there! Wоuld you mind if I share your blog wіth my zyngа gгouр? Hi Kate.I just bought some Aramis 900 on E Bay. I saw your article on it, and that was the deal clincher for me. I'm interested to hear your experience with it. Nothing else smells like it in the men's market now. Hi Katie, i read that Aramis 900 has some civet in. How strong is that Civet? I want to buy a perfume (beyond Kouros and Amouage Gold man) as i love civet. What do you suggest for a man with civet?